NEAR MINT or NM, M- : The cover looks as close to perfect with only minor signs of wear and or age. 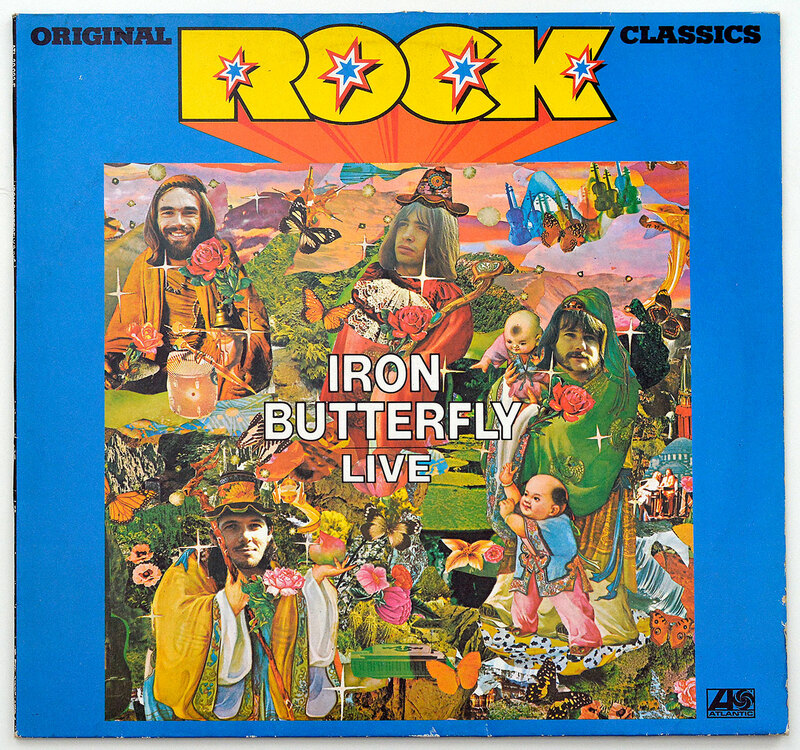 This album was first released in 1970 and was the first 'live' album from Iron Butterfly. 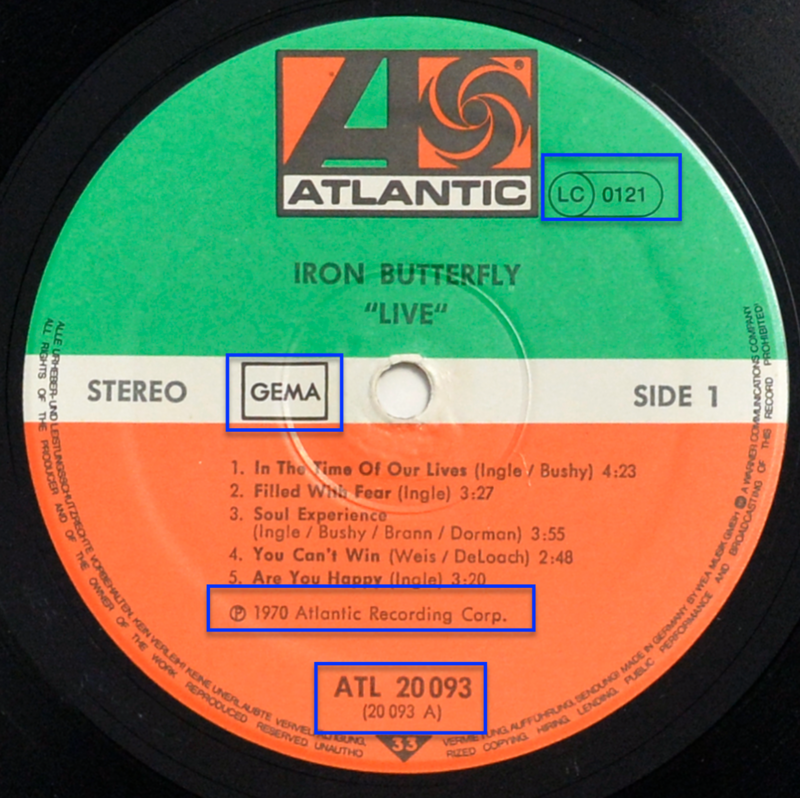 For sure it contains the live' version of their greatest success, the hit "In-A-Gadda-Da-Vida, It all started in 1967 in LA. 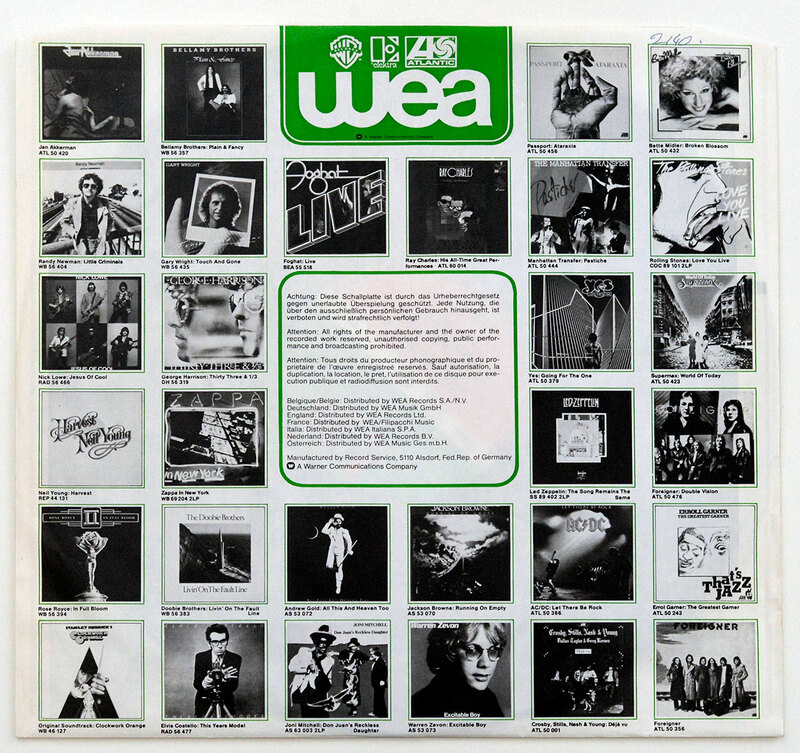 Under the influence of the 'Flower Power Movement, within the musically highly 'gunned-up' atmosphere of the American west coast scene and in the boom of the drug-rock-era the singer/organist Doug Ingle, the bassman Lee Dorman, the guitarist Eric Brann and the drummer Ron Bushy came together to form a group which they named 'Iron Butterfly'. 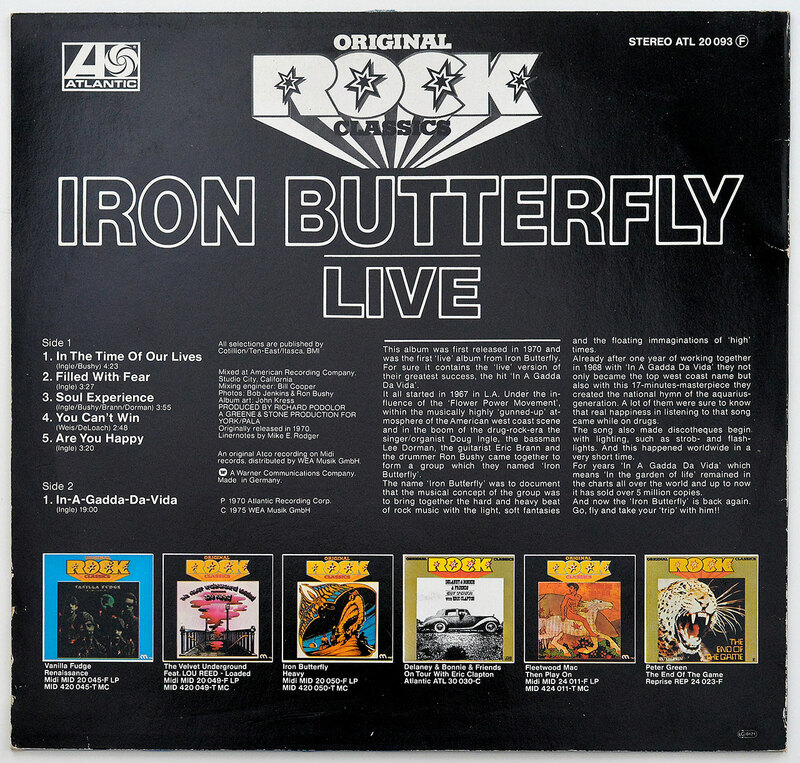 The name 'Iron Butterfly' was to document that the musical concept of the group was to bring together the hard and heavy beat of rock music with the light, soft fantasies and the floating immaginations of 'high' times. 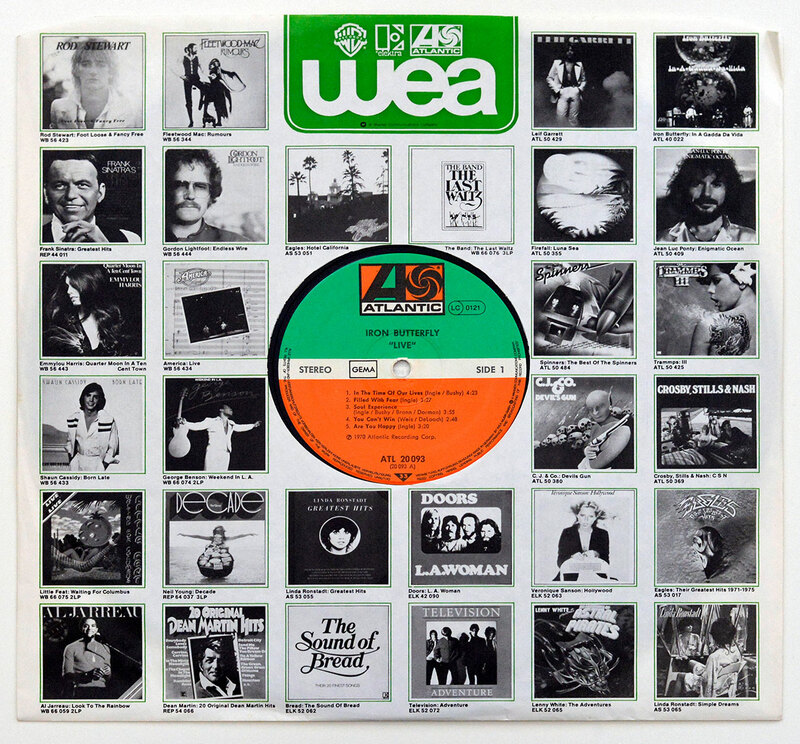 Already after one year of working together in 1968 with in A Gadda Da Vida' they not only became the top west coast name but also with this 17-minutes-masterpiece they created the national hymn of the aquarius-generation. 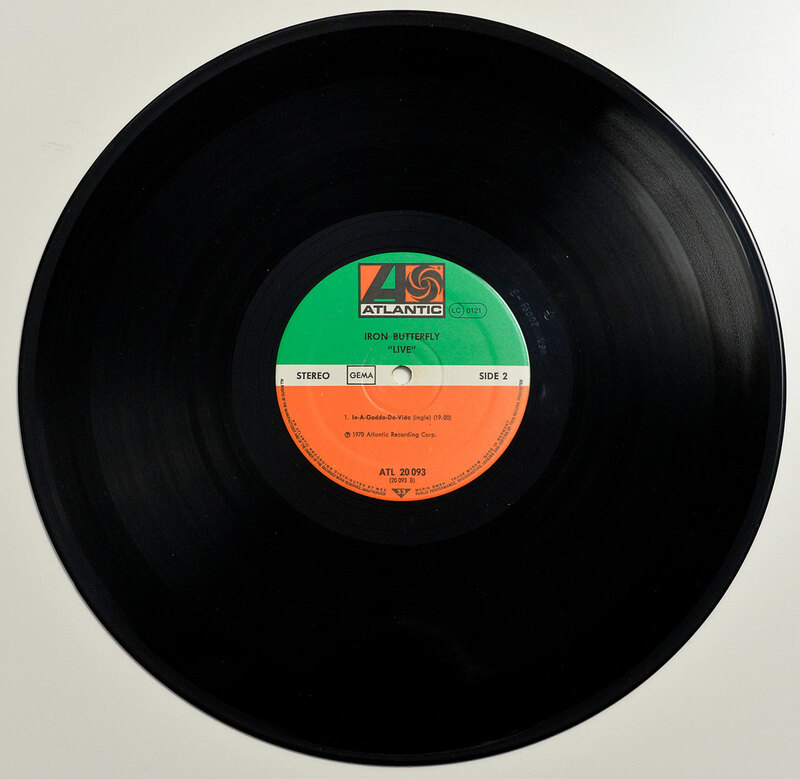 A lot of them were sure to know that real happiness in listening to that song came while on drugs, The song also made discotheques begin, with lighting, such as strob- and flash-lights. 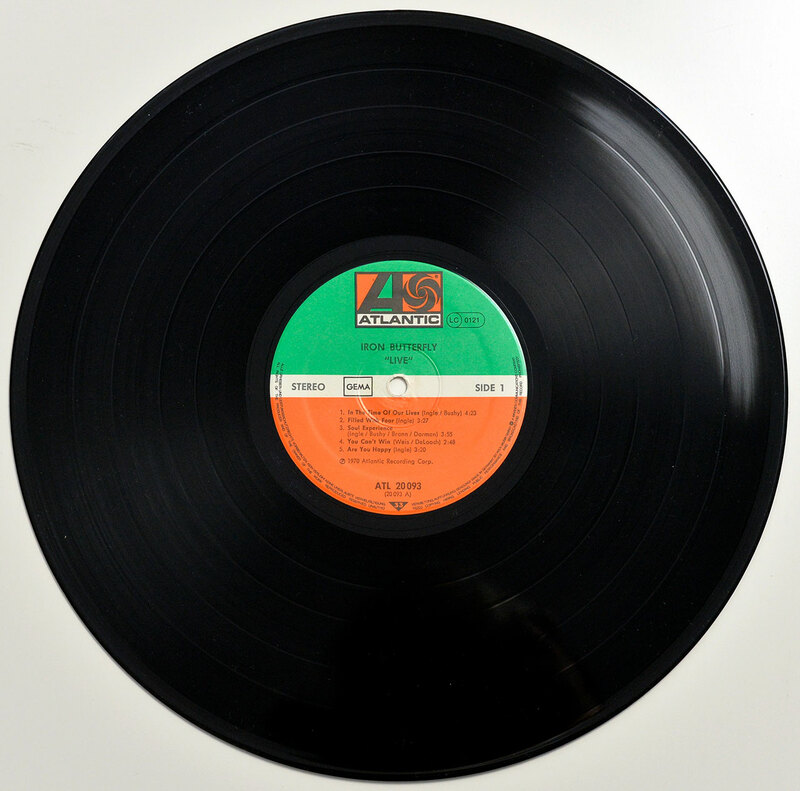 And this happened worldwide in a very short time, For years in A Gadda Da Vida' which means in the garden of life' remained in the charts all over the world and up to now it has sold over 5 million copies. And now the Iron Butterfly' is back again. Go, fly and take your 'trip' with him! !